Every female meteorologist in America is wearing the same $23 dress. One local forecaster explains why. We all remember “The Dress,” the optical illusion that took over the Internet nine months ago, boggling minds with its bewitching color-changing abilities. But that was nine months ago, a decade in Internet time. Now there’s a new dress taking over the Internet, one that seemingly every female meteorologist in the nation is wearing. 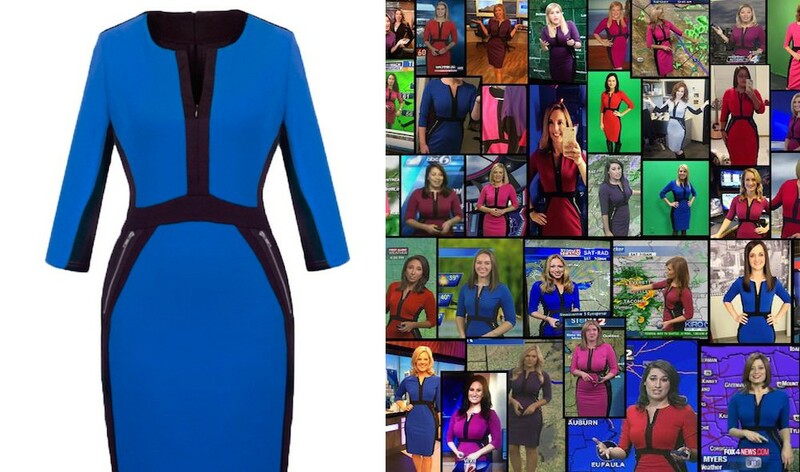 So how did every single female meteorologist in the world buy the same dress? And for that matter, how did anyone notice? It turns out that there is a secret Facebook group exclusively for female meteorologists. After one of the meteorologists shared a link to the dress, which retails for only $23 on Amazon, it became a popular item amongst the crowd. Jennifer Myers, a meteorologist at Fox 4 in Dallas and a member of the group, started cataloging all the instances of a fellow meteorologist wearing the dress, Tech Insider reports. Now, according to Amazon, the dress is likely sold out through Christmas. 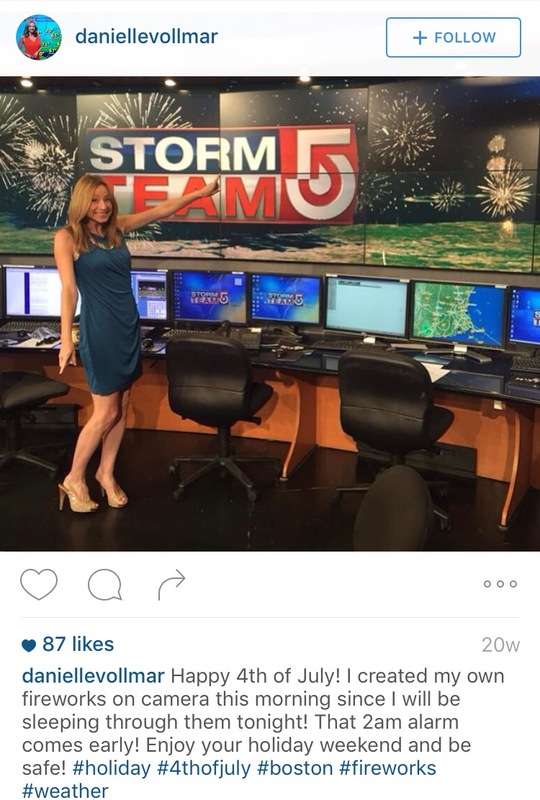 To learn more about the phenomenon, we talked to one of Boston’s own weather forecasters who appears front and center in the dress collage: WCVB meteorologist Danielle Vollmar. Vollmar said she saw the dress on the private Facebook group, which she said is a great place for females in her profession to discuss everything from the trade to networking. As for why the dress is so popular with meteorologists, Vollmar said that because of the on-air nature of her job, she tries to wear an outfit once every three months at the most. Beyond that, there are lots of fashion no-nos that make stocking a full wardrobe difficult. Vollmar’s friends across the U.S. have been sending her the composite photo, and her co-workers at WCVB have been joking that her passion for finding good deals has been going viral. Vollmar said she bought the dress in three colors but has only worn the blue edition so far.